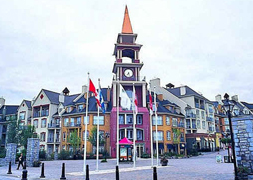 AlluraDirect.com is Ready to Promote Your Mont Tremblant Business! Whether you're a cleaner, a custom furniture maker or a professional photographer, you've got services to offer Mont Tremblant vacation rental property owners. Because AlluraDirect.com enables its owners to rent and manage their properties directly, they are in constant need of knowledgeable local business owners to help them with the maintenance of their properties. The more guests an owner books, the greater their need for reliable and thorough cleaners. Boasting about a luxurious hot tub in a Mont Tremblant chalet has little merit unless someone is there to maintain it. Because you're a Mont Tremblant-area resident with local wisdom to offer, we want our owners coming to you for help. But if they don't live near Mont Tremblant, how do they find you? And how do they know they can trust you? That's where we come in. What Can AlluraDirect.com Do For Your Business? AlluraDirect.com provides a free listing service for business owners to post their name, contact information and the details of the services they provide. This resource is made available specifically to Mont Tremblant owners looking for cleaners, hot tub experts, plumbers, and more. We take care to list businesses recommended by our owners, thereby rewarding your diligence and hard work. If we receive negative feedback about one of our listings, we make sure to remove them from our site. AlluraDirect.com does not take any money for listing your business, and we're only concerned with providing owners with a comprehensive list of resources. By using these resources, they can succeed in running their business and so can you! Interested in becoming a part of our directory? Just send an email to ownerservices@alluradirect.com with details about your business. Having observed the behaviour of AlluraDirect.com owners over many years, we know that many of them are keen to stick with a contact when they are satisfied with their service. Take up the opportunity for free advertising and lucrative business opportunities at Mont Tremblant and in surrounding areas. Just email ownerservices@alluradirect.com, introduce yourself, tell us about your business and about how we can talk to you. We look forward to hearing from you and thank you for using AlluraDirect.com!